Garnier Fructis Miraculous Oil-In-Spray provides strands with shine and resilience. They become bouncy, easier to detangle and style. Tangles will never be your problem again. It is a splendid beautifying and finishing product. You just need to spray your ringlets or bun and immediately see your hair shine. If it is important to you to nourish and repair damaged strands, you should exchange Garnier Fructis Miraculous Oil-In-Spray for a more nourishing oil or a specialized hair treatment. How to use Garnier Fructis Miraculous Oil-In-Spray? Spray your strands from a distance of about 8 inches and wait until it is absorbed. 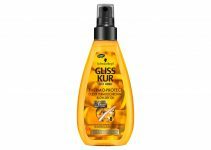 The product can be applied to dry or wet hair. The spray works very well as a shine-enhancing cosmetic. What ingredients does Garnier Fructis Miraculous Oil-In-Spray contain? The main ingredients are: mango oil, apricot oil and almond oil. Mango oil is recommended for weak and brittle hair. Apricot oil has a positive influence on dry and damaged hair. Almond oil adds lustre and offers quick absorption. 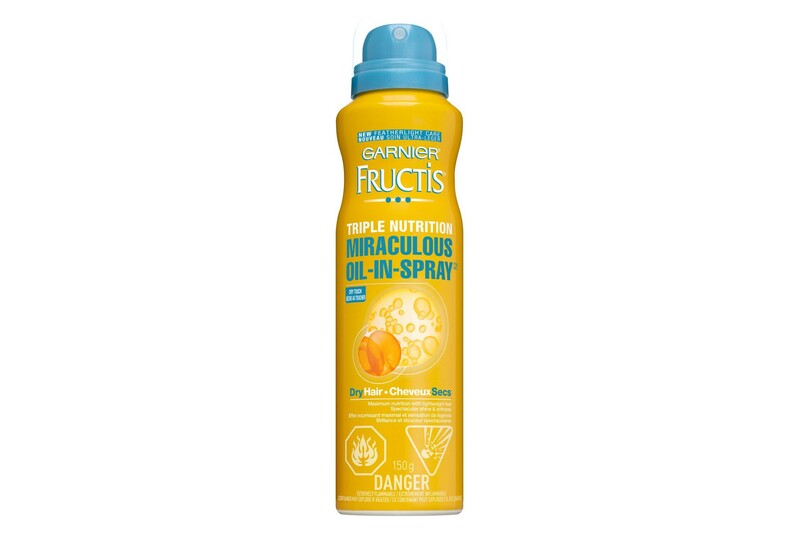 Useful information: Garnier Fructis Miraculous Oil-In-Spray has a lightweight formula of a mist. It comes in 100 ml and 250 ml capacities. The cosmetic has a fruity and sweet scent which is irritating and quite unpleasant for many women. Fun fact: Cosmetics of mist formula are very light, non-overburdening and work only on the surface. You will find a lot of mists at drug stores. There are face and body mists which refresh and add gloss. More about hair oils - ranking Copyright © 2019.